How to watch iTunes movies on Android? If you own an iPhone, iPad and Apple TV, it would be very simple to purchase, rent and watch movies with iTunes. You can also download movies to your desktop, laptop as well as iPhone or iPad, so you can enjoy them offline. However, this is impossible with Android devices. There is no iTunes Store app for Android for you to purchase/rent movies or TV shows. Even though you have downloaded them on your computer or iOS devices you can’t transfer them to Android devices since iTunes movies/TV shows are DRM-protected and can only be played on computer and iOS devices authorized with the Apple ID used to purchase or rent iTunes content. It is clearly that to watch iTunes movies, TV shows on Android devices, you need to remove iTunes DRM from them and convert them to Android supported video formats, such as MP4. 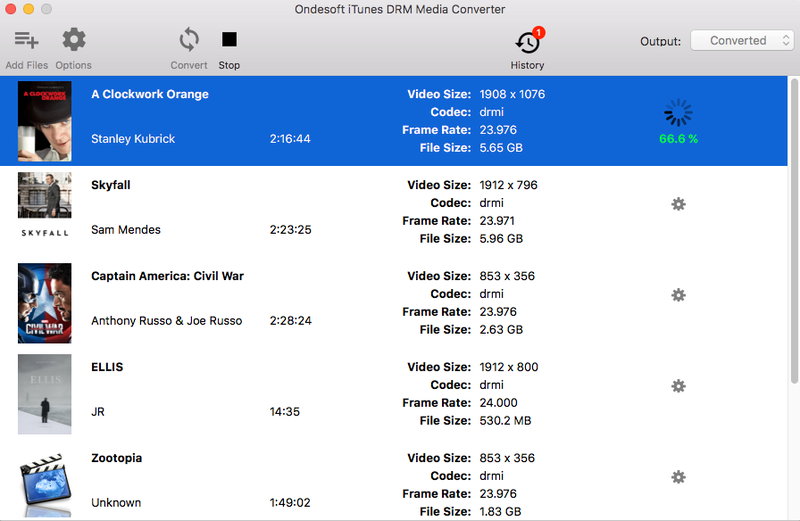 Ordinary video converter can’t convert DRM-protected video files and that’s why you need professional iTunes video DRM removal software - Ondesoft iTunes Movie Converter . 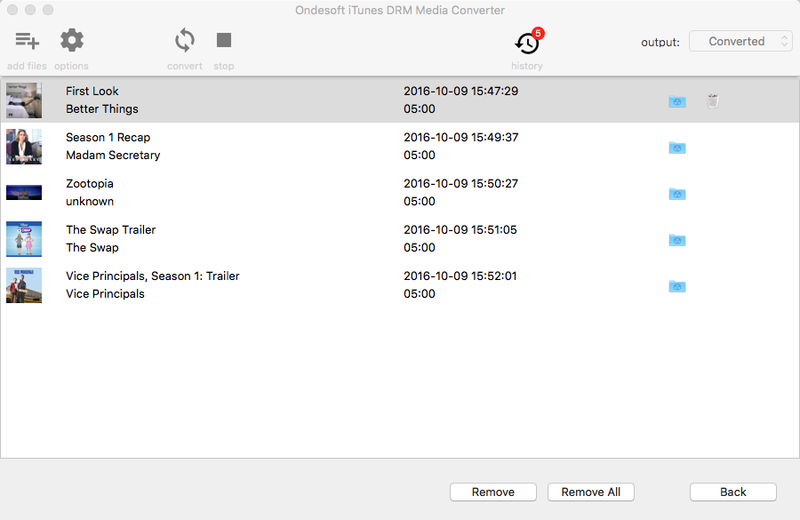 Ondesoft iTunes Movie Converter allows you to easily remove DRM from purchased or rented iTunes movies, TV shows and music videos. It converts these M4V videos to MP4 with 100% original quality and all subtitles/sound tracks. Part 1 How to remove iTunes DRM and convert iTunes M4V movies to MP4? This tutorial will show you how to remove DRM from iTunes movies/TV shows and convert them to MP4 to watch on Android tablets or phones. 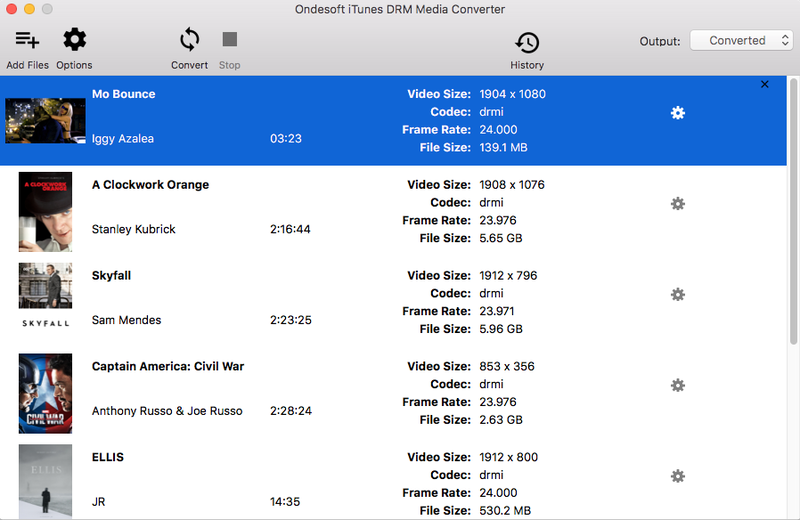 Step 1 Download, install and run iTunes Movie Converter on your Mac or Windows. Step 2 Click Add files and you will find all movies and TV shows in your iTunes Library listed below. Check the ones you want to convert and then click Add. 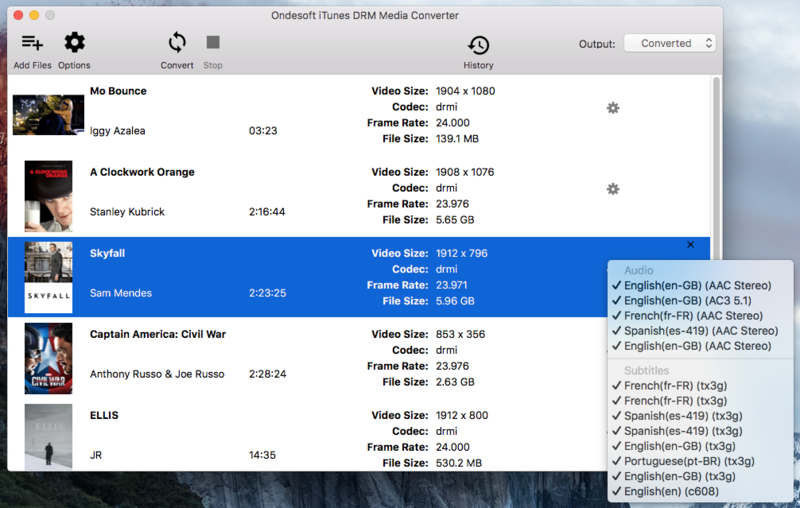 This iTunes Movie Converter will preserve all original AC3 Dolby 5.1 Audio, AD, multilingual Audio Tracks, Subtitles and Closed Captions by default, but you can click the gear icon and decide which to save. Step 3 Click convert button to start removing DRM from all selected iTunes movies and TV shows. 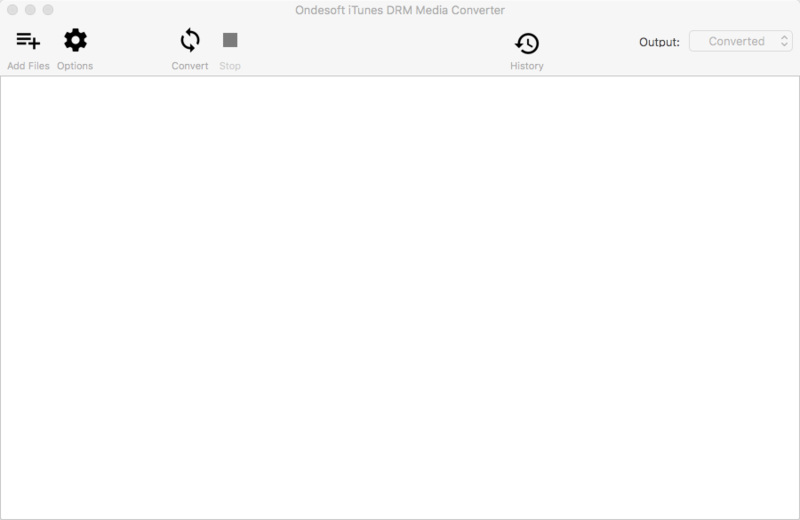 Output MP4 videos will be saved to Documents/Ondesoft iTunes DRM Media Converter/Converted folder by default. You can change it on the top right corner of the interface. 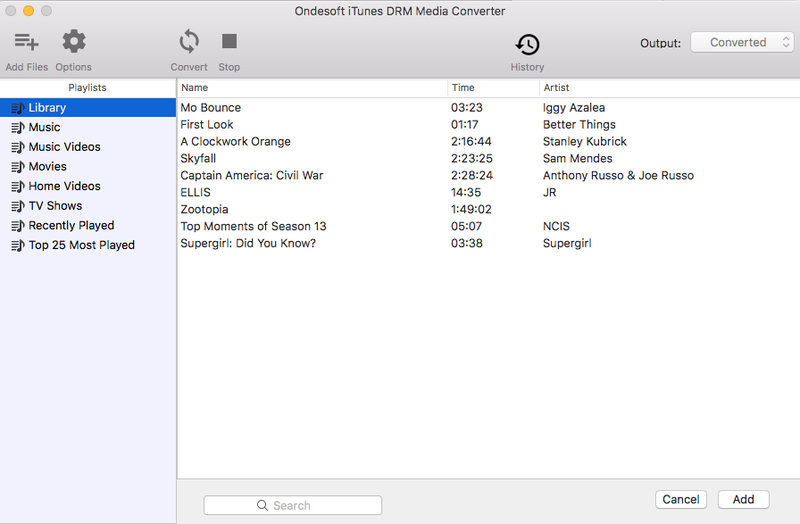 Step 4 iTunes Movie Converter removes iTunes DRM at 30X speed and soon you will get all DRM-free MP4 video files. After conversion, click below blue folder icon to quickly find the DRM-free iTunes movies/TV shows. Now you can transfer them to your Android devices and watch them anytime you want. VLC Player organizes the files according to name, length or date created. Play audio or video in this player with friendly interface and minimalistic controls. Advance controls like a sleep timer, jump to a specific time, increase or decrease playback speed, audio equalizer, only audio mode and PiP mode are on the video screen. KMP Player supports cloud storage via Google drive and its own cloud KMP connect. Just hit the cloud icon above the lists of videos and get rid of the storage space that videos are taking up on your phone by uploading them to the cloud and watch it anytime. BS Player organizes files according to the folder they are in. Apart from that, you can also see the most played, recently added, the current playing media and its queue. You can create a playlist for your favorites songs and videos and listen to them without having to search for tracks every time. Each Android phone comes with a default video player. If you don't want to install other third-party video player which will use your storage, just use the default video player. It will definitely meet all your video playback needs. How to stream iTunes moves to Chromecast? How to stream iTunes movies to Roku? How to watch iTunes moves on Amazon Fire tablet?